Click the button below to add the Itchy Scalp Calming Scalp Shampoo #Shampoos# to your wish list. Scalp itch may be caused by many things including the shampoo that you use. Many hair care products are made with ingredients that may cause irritation for some that use them. This irritation and scalp itch might result with having flakes in your hair and scalp. Sometimes the best choice can be as quick and easy as changing your shampoo and possibly your other hair care products. Magic cure? Nope, but the soothing magic of this shampoo begins by calming dry, irritated scalps as it cleanses leaving hair flake free. Since way back in history, Calendula Flower and Nettle extracts have been used to alleviate symptoms of scalp itch while White Willow Bark gently remove dead skin debris. 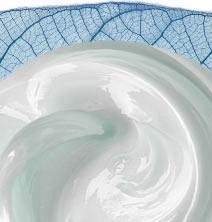 Nature’s anti-bacterial ingredients such as Andiroba, Foraha, Neem and Tea Tree help balance and moisturize. Give your scalp a chance to feel calm relief. Color safe and ideal for all hair types. Tired every brand name and Rx shampoos out there, and none were as good as this. I was very skeptical. I can't say for sure what's wrong with my head, my scalp gets real flaky & red splotches. It eases the itch considerably. 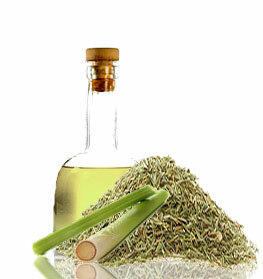 If your scalp is in poor condition, harsh ingredients may continue the cycle of calm before more itching. This Calming Scalp Shampoo is packed with antibacterial skin loving natural ingredients. You may feel a tingle as your hair and scalp are gently cleansed and left looking and feeling healthy. Great product...my husband loves it because the shampoo helps soothe his very sensitive scalp. His itch was gone so fast and he feels so much better than having an itchy scalp drive him and me nuts! Recently started having an itchy scalp and dandruff. Since using this shampoo I no longer have dandruff and my scalp rarely itches. I would highly recommend this product. For persons with scalp itch, this is an easy and useful product to use. I bought this shampoo to help with an itchy scalp due to having a weave and it helps a lot. This is a life saver for anyone with an itchy scaly scalp! Nature’s best ingredients provide nutrients with vitamins that feed and hydrate for the best looking fullest healthy hair growth. Anti-fade color safe formula keeps hair color longer with our chloride free and sulfate free shampoo. Protects color from sun, wind and pool water damage, color is sealed in to last longer. Calendula oil is extracted from the common marigold flower and has been used to sooth sensitive or irritated skin as it is said to possess powerful healing and anti-inflammatory properties. Nettle Root has been used since ancient times as a hair treatment and may possess antiviral properties and acts as an anti-inflammatory. Peppermint, Tea Tree, Basil, Chamomile, Lemongrass, Orange Peel, Oregano, Thyme essential oils are anti-bacterial but also provide a unique pure refreshing scent that may tingle. Vitamin E is an anti-inflammatory that calms and hydrates sensitive skin and also promotes healing. White Willow Bark has been used for centuries, dating back to 500 BC by the Chinese. It has moisturizing and soothing properties that may help irritated skin and has long been used as an astringent and as an antiseptic in cleansing the skin and irritated scalp. Lather and leave on hair and scalp for a few minutes. • Can be used at least once a week. If you co-wash, this would be perfect to use to clarify your hair. • Invest in a shower filter or use bottle water for softer hair and skin. • Ends feeling dry? Try our Calming Scalp Conditioner to assist with that. Aloe Barbadensis (Aloe Vera Hydrosol), Calendula Officinalis (Calendula) Extract, Urtica Dioica (Nettle) Extract, Carapa Guianensis (Andiroba) Oil, Calophyllum Inophyllum (Foraha) Oil, Persea Americana (Avocado) Oil, Ricinus Communis (Castor Seed) Oil, Azadirachta Indica (Neem) Oil, Mentha Piperita (Peppermint) Oil, Melaleuca Alternifolia (Tea Tree) Oil, Ocimum Basilicum (Basil) Oil, Anthemis Nobilis (Chamomile) Oil, Decyl Glucoside, Sodium Lauroyl Isethionate, Cymbopogon Flexuosus (Lemongrass) Oil, Citrus Sinensis (Orange) Peel Oil, Origanum Vulgare (Oregano) Oil, Thymus Vulgaris (Thyme) Oil, Hydrolyzed Soy Protein, Allantoin, Glycerin, Caprylyl Glycol Salix Alba (White Willow Bark) Extract, Guar hydroxypropyltrimonium, Panthenol (Vitamin B5), Tocopherol (Vitamin E). Just as described! I was about to schedule an appointment with a dermatologist when I read about this. I thought it wouldn't hurt to give it a shot. After 3 times using this calming scalp shampoo - I cannot believe the improvement. My irritated scalp is gone and it feels healthy again. The shampoo is very thick and creamy- a little goes a long way. Love how it smells and it doesn't overpower you with a medicated smell like most other irritated scalp shampoos do. Definitely recommend. I was sick and tired of using tar, sulfur and other chemicals to fix my irritated scalp it. I started to wonder if these chemicals also eventually somehow added to my scalp problems. So I decided and found this nutritive shampoo to try and I am very excited to say that It DOES work and I am one very happy customer and loyal fan. This stops the itching and other horrible side effects of having scalp problems. P.S. my hair looks great too. YESSSS! I found my itch shampoo. I really can't believe that this calming scalp nutritive shampoo works, because I've tried so many shampoos that I gave up hope. I've been using it over 2 years now and do not have itchiness, redness, odor or flakes. I use this itch shampoo once every 3 days or so now. This shampoo is really thick and creamy, just need a small amount. I have terrible Folliculitis which is the inflammation of hair follicles. So bad to the point that I have hair fall from scratching so much. I have literally tried every non-steroid product out there, nothing and I mean nothing I have tried has controlled the itching! I am so please with this itch shampoo and the vinegar rinse! The nutritive ingredients really have worked and my hair has started to regrow again. This shampoo was a great choice! I fought itching and flaking for years with no solution in sight. BUT NO MORE. This calming scalp shampoo smells good and it doesn't leave your hair feeling like you ran a bunch of chemicals through it. Within a few uses my scalp was no longer itchy and flaky. This shampoo nutritive ly takes care of my irritated and irritated scalp. It works extremely well and is gentle enough for my sensitive scalp. My scalp is no longer dry or itchy and with no flake since using this shampoo. Does the job and has fresh smell and leaves my scalp feeling great and hair looking great. I can alternate it with my other shampoos too. This shampoo is absolutely AMAZING. I use this nutritive scalp shampoo everyday and it definitely helps control my itch and leaves my hair and scalp clean and fresh. I had a flakey irritated scalp just on the top of my head that is soothed and itch free now. Itchy Scalp Calming Shampoo Definitely a Favorite! I have been using Itchy Scalp Shampoo for years. It is my favorite shampoo. I take it with me when I travel. It leaves my scalp healthy and adds fullness to my hair. I also pair it with Itchy Scalp Calming Conditioner. Definitely a keeper. I love this shampoo. I have been using it for years. I color my hair so my scalp has a tendency to be dry. Not only does this shampoo help my scalp but also adds lots of fullness to my hair. Would definitely recommend it. We love the scent of this shampoo, so when we ran out of our hand wash, we used this. Now it is our favorite!! Really helps with the itch and leaves my hair feeling clean and light. I also use the vinegar clarifying product about once a month to avoid a build-up, but I honestly don't feel like I need to some months. The shampoo and conditioner do a great job and don't seem to cause any build-up. Just use my calming scalp shampoo for the first time and love it already! It calms the itch, the scalp feels great, leave the hair soft. I recommend this product. I have a chronic scalp inflammation that used to be awful -- and Dermatologists had no good answer nor did their recommended treatments do much. This shampoo (and the conditioner) help me to keep the discomfort well under control and leave no residue or odor like the meds did. My scalp had been itchy for awhile and I had so many dry white specks flaking off. I tried a few different things but nothing seemed to help. After the first washing with this shampoo the itching and flaking was significantly less. I've used it less than four times now and the problem is gone!